"Isadora Rivers feels trapped. Her small town high school is suffocating her. Another day of wannabe gangsters, dumb jocks, and Barbie clones, and she'll just lose it. Her keen emotional sensitivity is to blame. She feels like she's literally drowning in other people's emotions. and wise beyond his years. He's also devastatingly gorgeous. From the moment their eyes meet, Isadora is irresistibly drawn to him. But as soon as he enters her life, things go horribly wrong. She begins having disturbing visions full of unimaginable glamour and unbearable darkness. He knows things about her he shouldn't. And he's somehow so familiar. 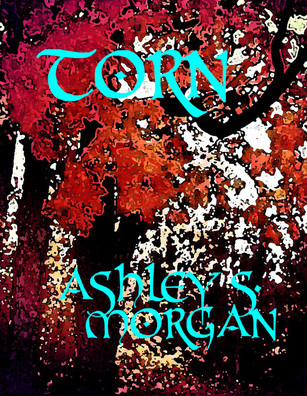 As he at turns pulls her close, and then pushes her away, Isadora feels like her heart is being twisted and torn. herself and find the strength to change her own destiny. But is she strong enough to do it?" 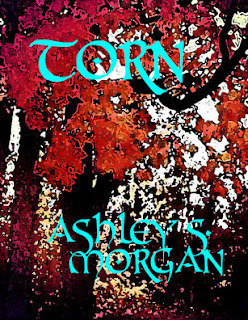 I really enjoyed Ashley S. Morgan's writing style in Torn. She easily sets the mood for scenes and something just flows with her writing. The book is a lot of dialogue which kind of reminds me of a play, which seems fitting since the characters are in the drama club. I felt like it was easy to place myself in the story. Isadora as a main character I had mix feelings about her. I was trying to think of her in the perspective of being a teenager and in the drama club but she seemed to get overly emotional about things. I felt like her infatuation with Tristan was a little too quick but then again I think she was experiencing some feelings that had to do with the greater plot. Tristan was likable as the sensible laid back kind of guy. He definitely was definitely the mature one of their duo. Then of course there was also Izzy's best friend Sarah and arch nemesis Tara. Both filled their roles in true YA style. I feel like it's hard to write about the plot because I don't want to give anything away. The basics of it were great but I wish there had been more development. The book itself is more about the relationship between Isadora and Tristan, which was good. I also really wanted to know more about the paranormal aspect of it. I would have liked to meet some of the other characters that were mentioned but we don't actually get to talk to. I didn't quite understand how the whole thing worked. (I know I'm sound vague but I really do not want to give anything away). I do love books like this that keep me guessing. I thought this was an enjoyable light read. The writing and the idea for the story were both good. I look forward to more of Ashley's writing.